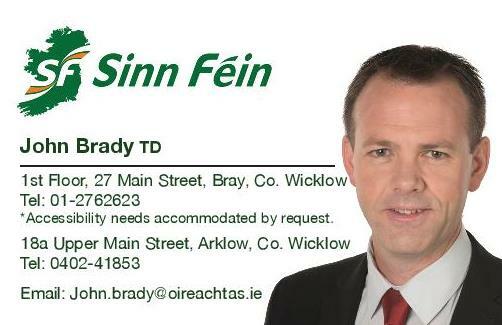 Sinn Féin TD for Wicklow/East Carlow John Brady has called on the Minister for Communications, Climate Action and the Environment to address serious concerns following the issuing of 27,000 letters to domestic ESB customers State wide relating to the installation of faulty meters. “It is believed that a batch of 27,000 meters were installed from 2007 onwards predominately, in apartment blocks right across the State. At this stage it is unknown how many of these meters are actually faulty but it is estimated that it could be over 10%. “These meters are giving a faulty reading due to creeping where the reading is above the actual electricity consumption used. This is therefore, charging customers incorrectly, at a higher amount than they should be paying. “The problem has only been identified in recent weeks and letters have been issued to households where the 27,000 meters have been installed. “I have been in contact with ESB Networks who have confirmed that a hotline has been set up for concerned domestic users. 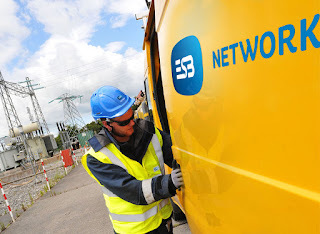 “With that, ESB Networks have confirmed that they will begin replacing the batch of 27,000 meters in January and it expected to take one year to complete this replacement project. “There has been no agreement reached in relation to any adjustments, credits or repayments for customers who may have been over charged as a result of having a faulty meter. “The Energy Regulator is aware of this and I would call on the Minister to ensure that a procedure for repayments is put in place as swiftly as possible.